TJ's is already my go to grocery shop, but one day when I turned the corner and saw the pumpkin display below...my mind melted! 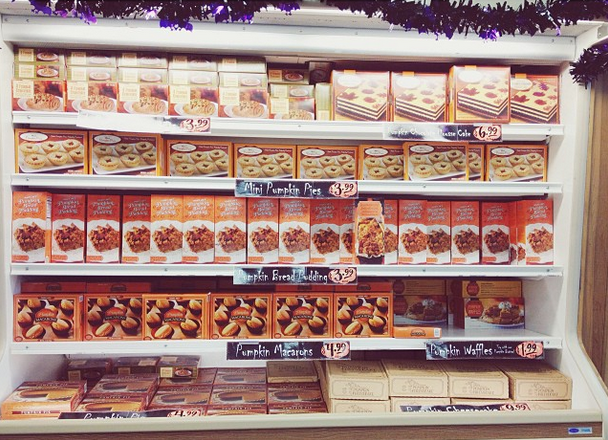 It was in this pumpkin display that I first found the pumpkin croissants. I bought one thinking ok these might be good. I had it for breakfast the next day and immediately fell in love! 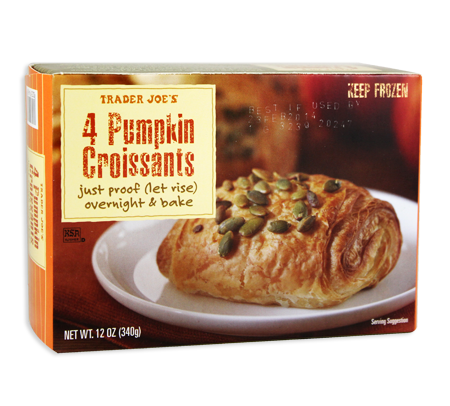 I proceeded to go back and fill my cart and freezer with these amazing pumpkin desserts, or in my case breakfast! Now every trip to Trader Joe's until they run out, I buy more to keep my stash full. This year will be no different! I'm sure that list will grow in the coming months! Keep checking back for more pumpkin fun in the weeks ahead! Do you have a Trader Joe's near you? What are your favorite pumpkin finds!? Share them with me in the comments below so I can go pick them up! 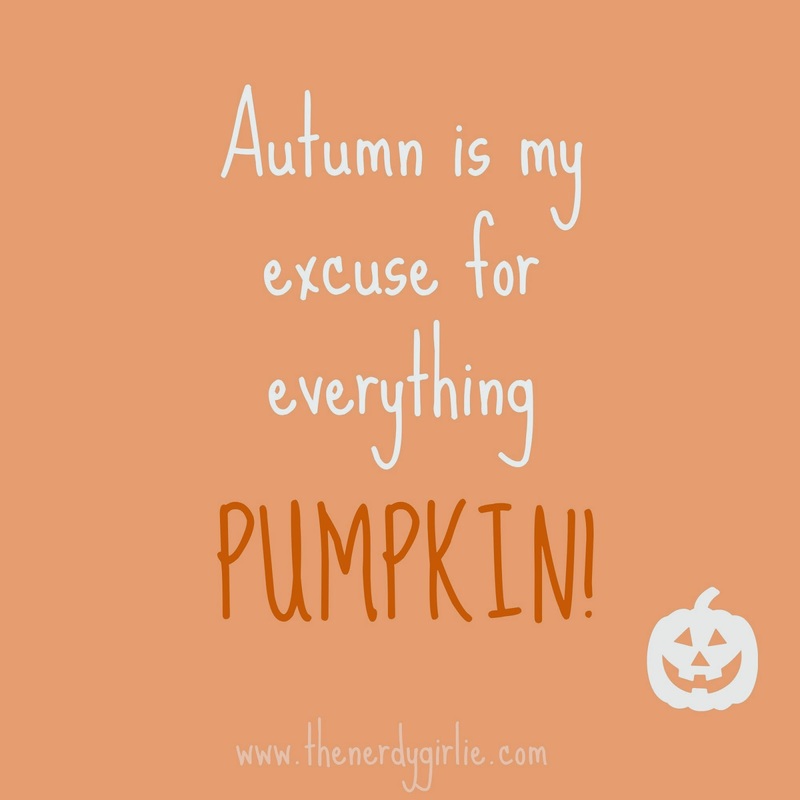 Check out all my Awesomely Autumn Pumpkin Products posts and keep cozy my nerds! I'm so excited! I'm waiting for my local stores to bring on the pumpkin! They're running behind... I need my pumpkin fix! 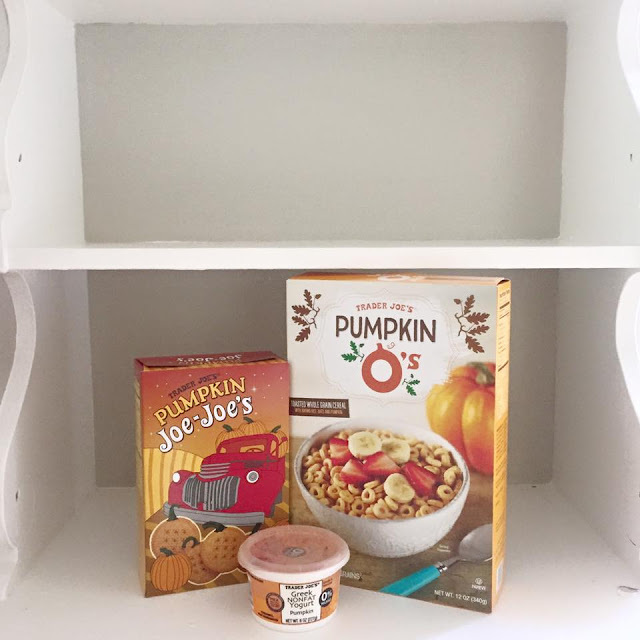 Thank you for the tips - a TJ's is opening near me soon and I'm going to definitely look for some pumpkin goodies! I would LOVE to have a Trader Joe's near me! The closest is nearly two hours away. D: I've only been a couple times, and I am in love. This is so amazing. Is trader joes a supermarket? I wish we had it in Australia. I don't think we have one nearby. 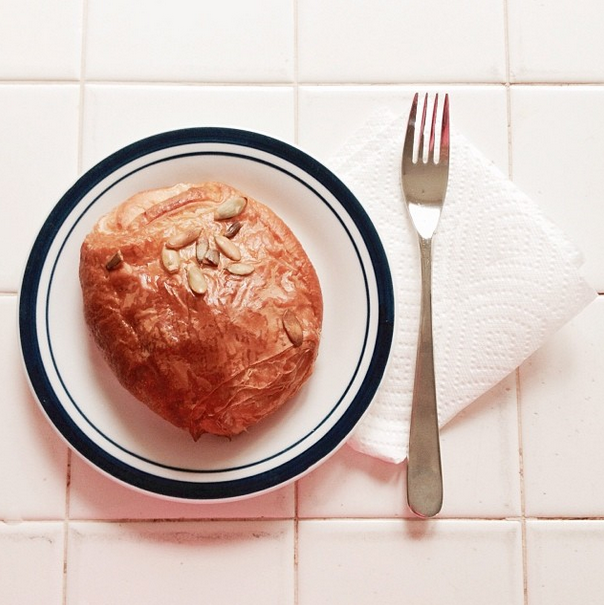 But Panaera has an AMAZING pumpkin bagel this time of the year! I wish I had a Trader Joe's near me. I think the closest is about 2 hours away. I'm going to have to stock up on my next trip to Phoenix; all of this looks so delicious! The pumpkin ice cream is unbelievable. You MUST try it!